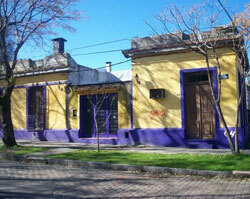 The barrio of Atahualpa in northern Montevideo is characterized by quaint colonial-style houses and small farms. Representatives of the architectural style of the area include the Jackson Chapel, the Vaz Ferreira Villa and the country house of Dámaso A. Larrañaga. Atahualpa’s main attraction is the Cambadu Social Park, with its centuries-old trees.